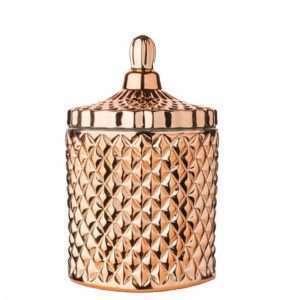 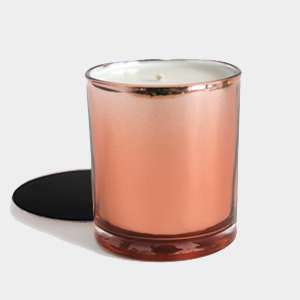 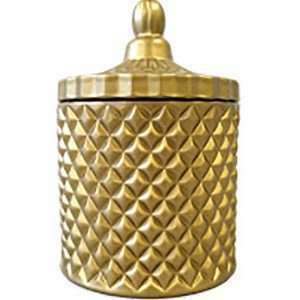 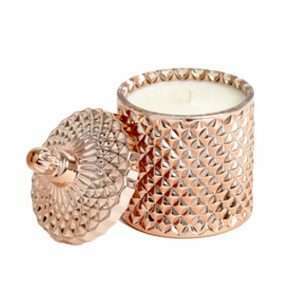 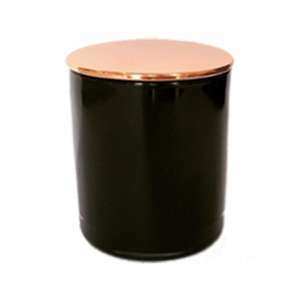 A contemporary candle glass complete with a lid which has been electroplated in copper. 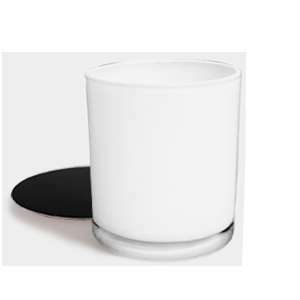 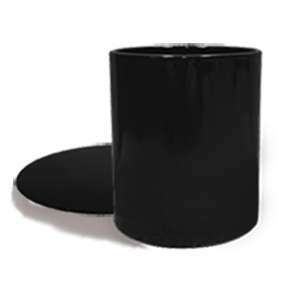 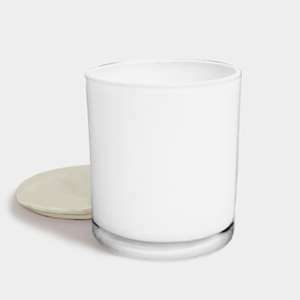 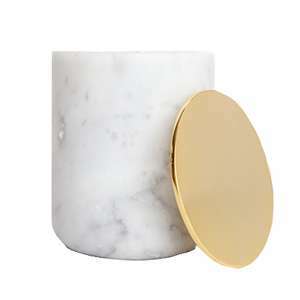 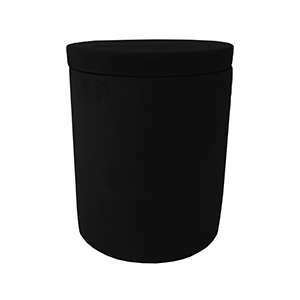 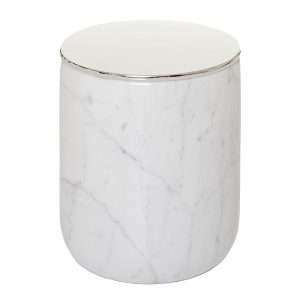 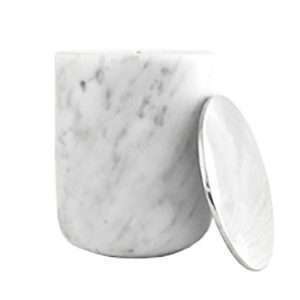 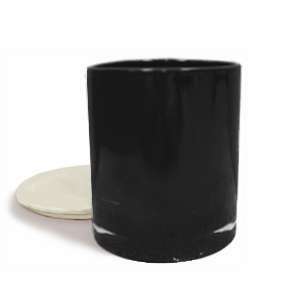 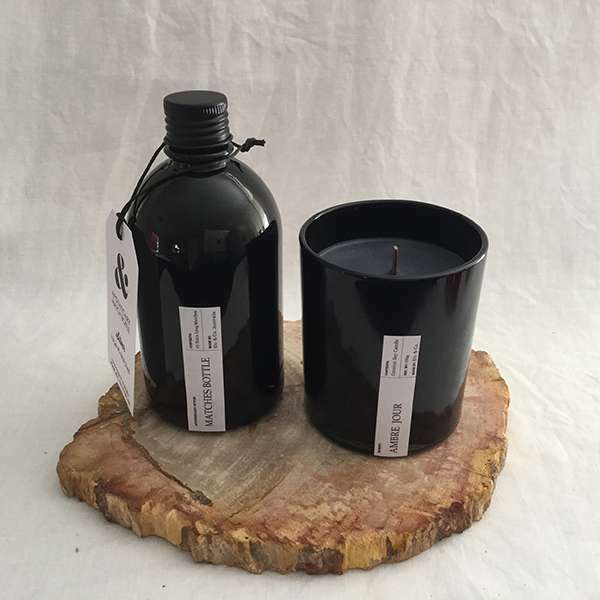 The stylish lid not only adds a touch of glamour, but can be used as a coaster when burning the candle and as a dust cover to hold the scent in when not in use. 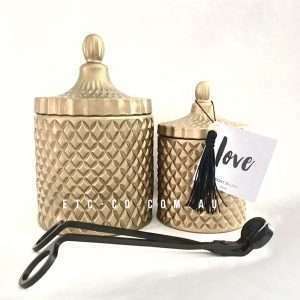 Once the candle has finished burning, simply handwash and re-use as storage jar for makeup brushes, Q-tips, pens, pencils etc. 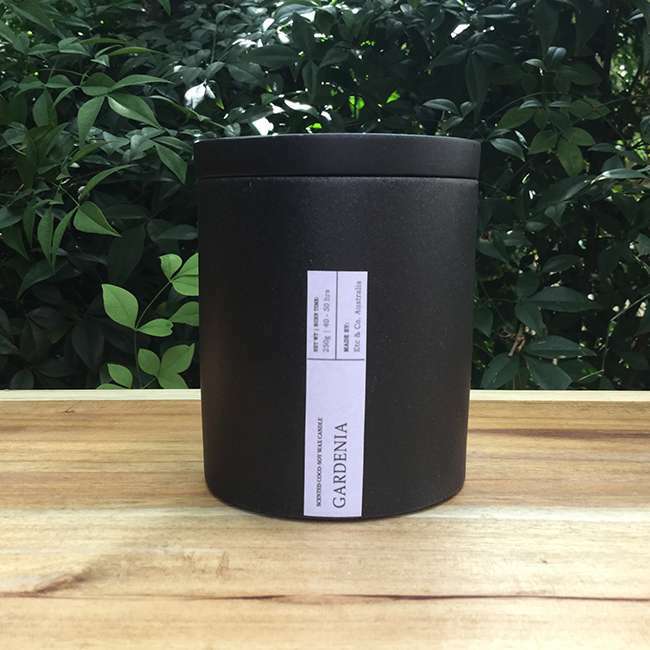 Our candles are made with a proprietary blend of organic soy and coconut wax for a clean, healthy burn. 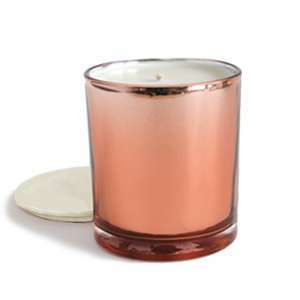 We use 100% lead free cotton wick and scent our candles with essential oils and phthalate free cosmetic grade fragrances. 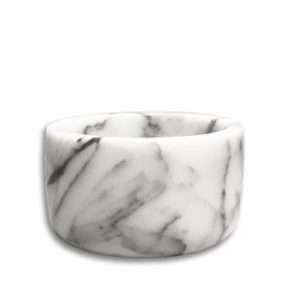 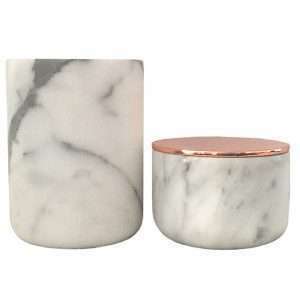 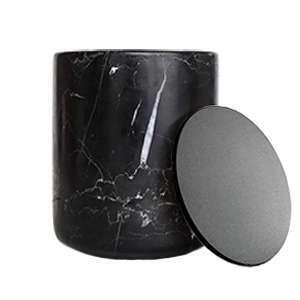 NOTE: Unlike the metal lids which come with our marble candle jars, these lids are made of plastic so please do not try and put out the flame with them.